This 2-Day Emergency Generators & Standby Power Systems Training course is designed to assist organizations to identify the many savings to be gained from proper Generator Design, Installation, Testing and Maintenance. Much of today's infrastructure such as hospitals, data centres, industrial facilities and commercial buildings cannot withstand a loss of electrical power. As a result, generators are installed to provide electrical redundancy and in some instances, may help to reduce power costs. This course examines the operation of generators and their application within an overall electrical system and focuses on emergency standby generators. Generators are an essential part of todays electrical system for providing power when needed. Generators can be used for many different applications some of which include: emergency standby generation, prime power, grid connected and micro-grid applications. The purpose of this course is to learn how generators operate and how they may be applied to suit various types of custom applications. The focus of this course is on emergency standby generators and how they may be applied in a variety of settings and industrial sectors. Standby generation are used primarily to provide backup power in the event that utility power from the utility electrical distribution system is lost. In this scenario, a standby generator may be started to power all of the emergency loads. This course will discuss the operation of generators, their application, how they are integrated into the overall electrical system, auxiliary supporting equipment and generator package maintenance. This course will cover many practical examples, and will be interactive for students to gain a broad overall understanding of standby generators. Specific requirements and recommendations for the installation, operation and maintenance of backup power generation equipment Where to find critical information from professional sources such as the EGSA, IEEE, NFPA, NECA and NETA. What backup system and emergency plan is best suited for your critical power system. How to read and understand vendor drawings and technical information for generators. Auxiliary generator equipment such as fuel tanks, silencers, ventilation, control equipment, gas detection etc. How to work with parallel energy sources Synchronizing procedures and load sharing. 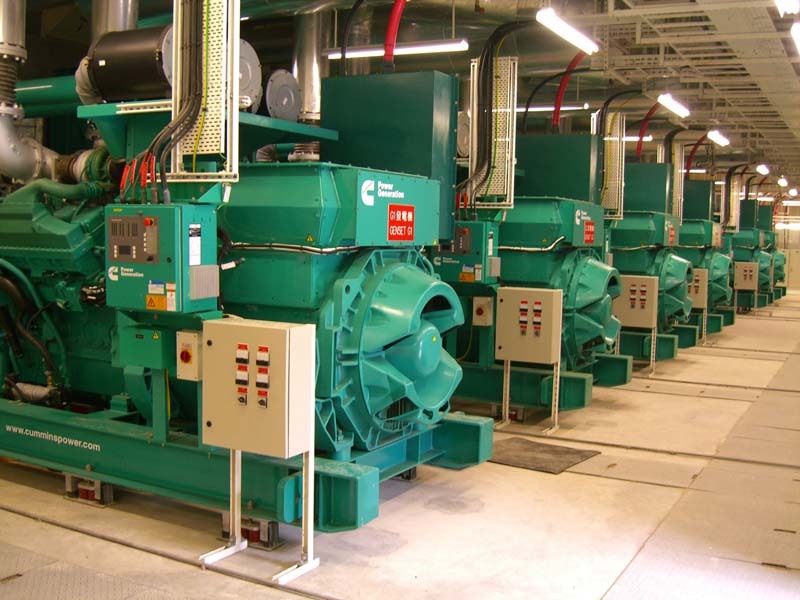 Understand how generators operate and the auxiliary equipment required to support their operation. Gain the background needed to operate, maintain and test the various types of generator sets used in on-site power production. Common examples of facilities that heavily rely upon these systems include: data centers, hospitals, banks, airports, water treatment facilities, manufacturing and industrial plants, schools, sports stadiums, and commercial office buildings. As the need for reliable electrical power continues to increase many firms are turning to the use of on-site generators. Learn about thermal applications of power generators such as co-generation and combined cycle operation. This Emergency Generators & Standby Power Systems course is designed for anyone involved with emergency onsite power generation systems or working in any facility where an emergency power supply is absolutely critical! In this seminar, students are invited to attend from a wide variety of industries, skill-levels, company sizes, and backgrounds. If you're not sure you'll fit in, or will benefit from this class, don't worry - you will - as long as you have an interest in onsite power generators. Why do generators require grounding? Typical manufacturers, ratings and operation of diesel generator sets. What is an emergency bus? What loads are typically placed on an emergency bus? We can present this Emergency Generators & Standby Power Systems Course to your electrical engineering and maintenance staff, on your premises, tailored to your specific equipment and requirements. We are ready to help design this program for you. Click on the link below to request a FREE quotation.